Lucknow, January 29: Uttar Pradesh state cabinet today approved construction of a four-lane Ganga Expressway connecting Prayagraj to Western Uttar Pradesh which would cost about 36,000 crore rupees. Briefing media persons about Cabinet decisions at Prayagraj, Chief Minister Yogi Adityanath said this expressway will provide better connectivity to Prayagraj. He said Ganga Expressway will be 600 kilometres long and can be expanded to six-lane in future. Chief Minister said after completion it would be longest in the world. The state cabinet also gave approval to several other infrastructure and pilgrimage augmenting projects and schemes. The Chief Minister said along with Bundelkhand Defence Manufacturing Corridor, a new 291 kilometres long Bundelkhand Expressway will also be constructed at a cost of 8864 crore rupees. 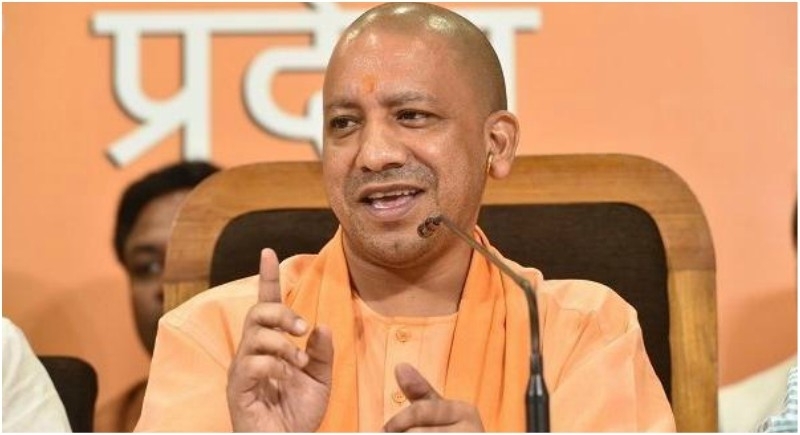 CM Adityanath also said Gorakhpur link of Poorvanchal Expressway would be expanded to Azamgarh and Ambedkar Nagar Districts. For the promotion of spiritual tourism, the government also gave its nod to augment develop and beautify Rishi Bhardwaj, Valmiki, Rishi Shringi, Mata Shanta and Nishadraj located at Prayagraj. The State cabinet which met for the first time outside state capital Lucknow also announced sops for farmers and doctors of SGPGI. The state government decided to reserve posts of Chairman and Deputy Chairman of state Agriculture Production Market Committees for registered farmers. The State cabinet also decided to waive off SGST for recently released movie URI-the surgical strike as it is instilling nationalism and patriotic feelings. CM Yogi said the cabinet also paid rich tribute and its condolence to former union minister George Fernandes who passed away today. Extending the benefit of Mukhyamantri Awas Yojna to leprosy patients, Mr. Adityanath said 3641 homeless patients would get benefit under this scheme. Earlier Chief Minister and his cabinet colleagues visited Hanuman Temple, Askhayvat at Sangam in Kumbh City. Yogi Adityanath and other ministers also took a holy dip at Sangam. This was the first time during Yogi Adityanath's tenure as Chief Minister that his ministers are holding an official meeting outside Lucknow.